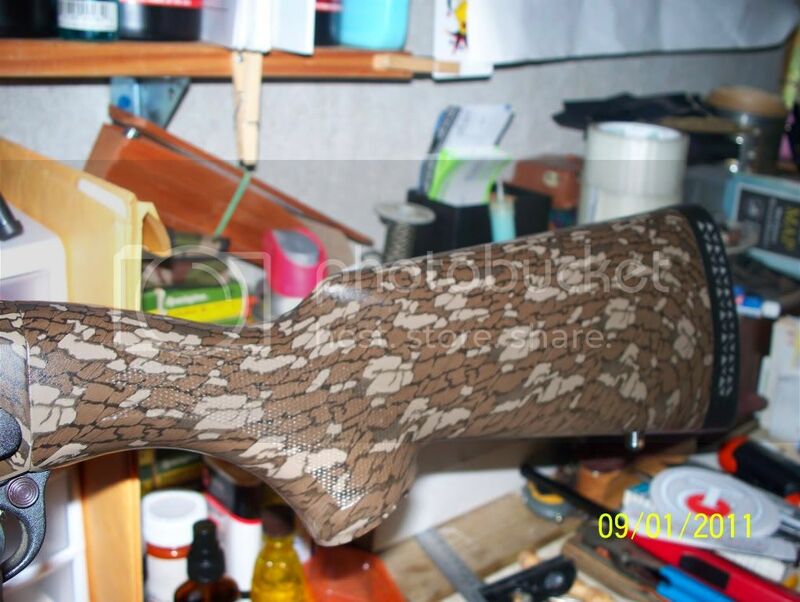 Talk about 10 & 12 gauge shotguns here. This is my 1st. post here BUT most of youall know me. 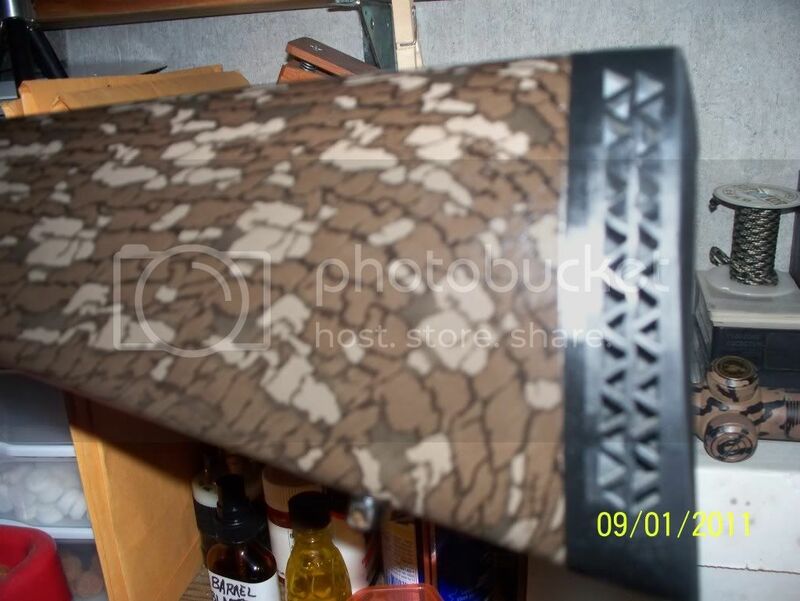 I found an old Remington 1187 Special Purpose Turkey that is all camo with a treebark pattern and has a 21"barrel and shoots 2 3/4" and 3" shells. 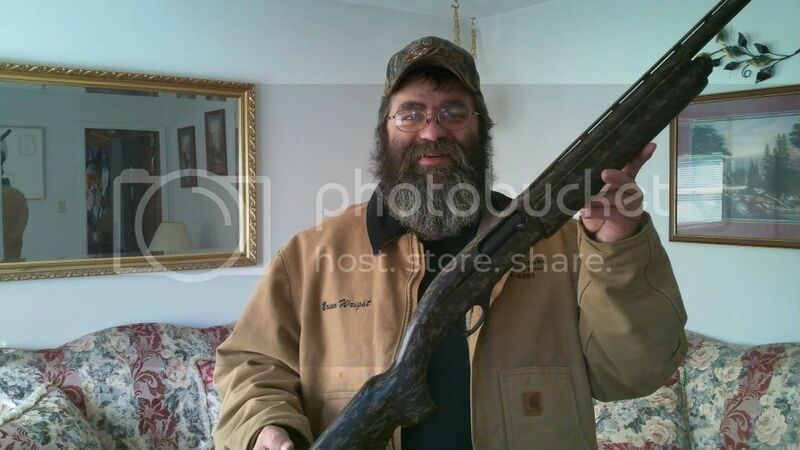 Rick gave me the tip on the old 1187 trebark turkey gun and i got the phone # from him and called Ryan in Albany, MN. Ryan and I talked about the gun and i mailed Ryan a money order . The old 1187 came in and picked it up 2day and WOW 99% like NEW and has a Truglo red/green dot on it with a .660 Kicks GT choke in her. 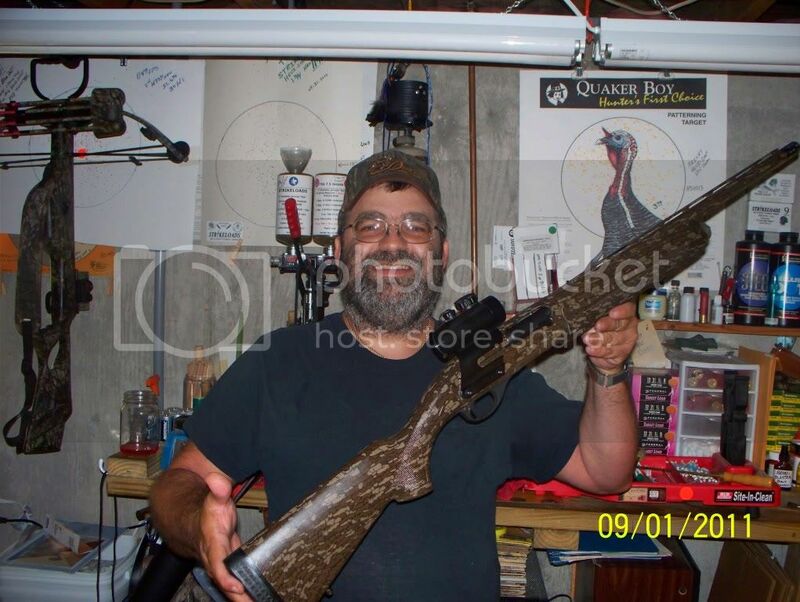 This is a nice shotgun and i will give it a new life of hunting and its going to the turkey woods in 2012.
vaturkey and "Rhino0018" i appreciate the smooth and easy transition, its hard to find good people like yourseft that you can trust. What do ya'll think ? Last edited by GOLD HUNTER on November 25th, 2011, 3:08 pm, edited 4 times in total. 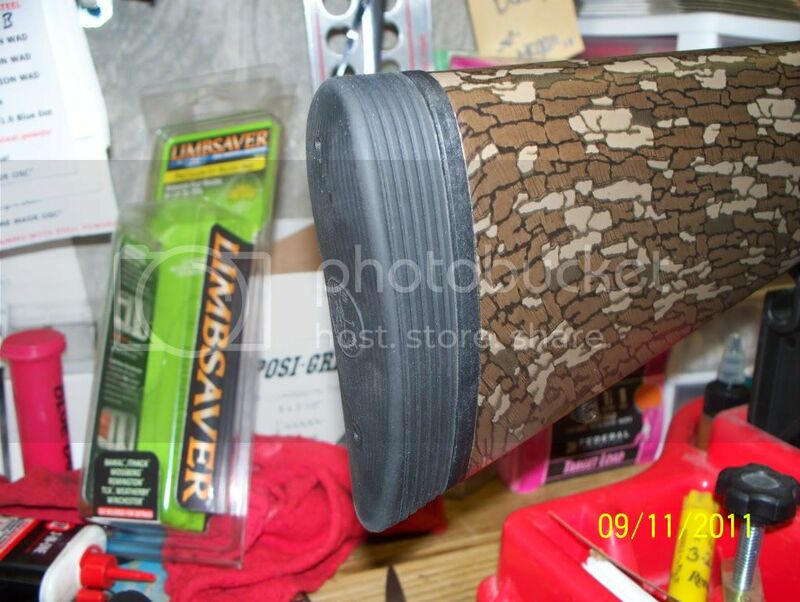 How much for the limb saver? it was $ 40.00 and it fit like a glove. GOLD HUNTER wrote: it was $ 40.00 and it fit like a glove. Brian. Did I ever tell you about my weird Uncle Harold? He was born with 5 peters. LOL !!! i forgot about him.........some guys have all the luck !!! Nice gun Brian! 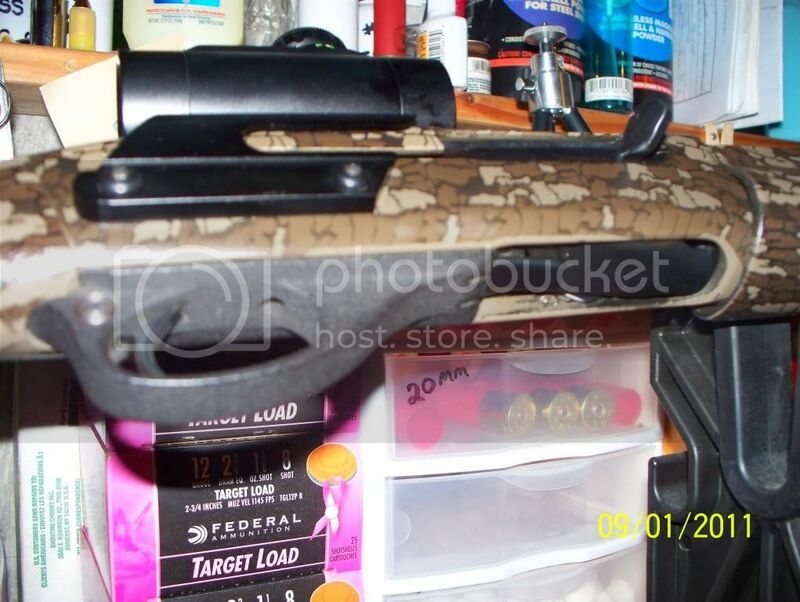 someone a long time ago posted on another forum some trbark that had green and brown with gray mixed in. 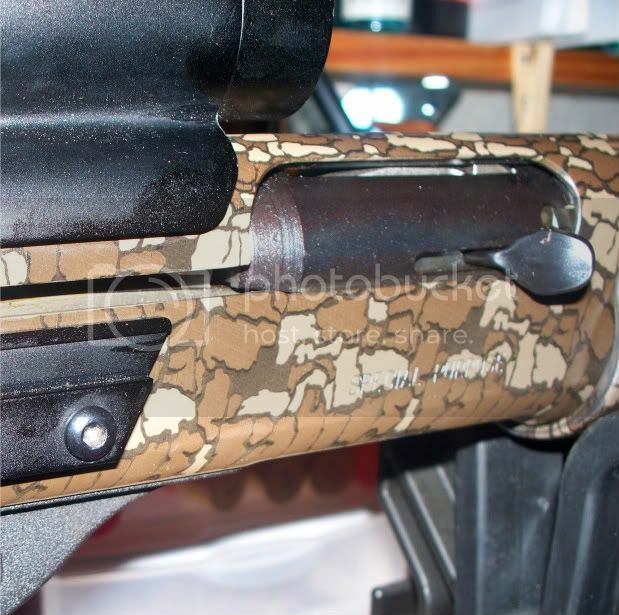 I always wanted to find some of that and have my 870 dipped. Finally got to the shooting range today to shoot the old 1187. Before you guys start hollering at me about 30 & 40 yards and a 10" circle and a 12" circle this was a test to see how the gun would perform and what type of ammo it likes. I only shot the gun at 30 yards with a 10" & 12" circle. 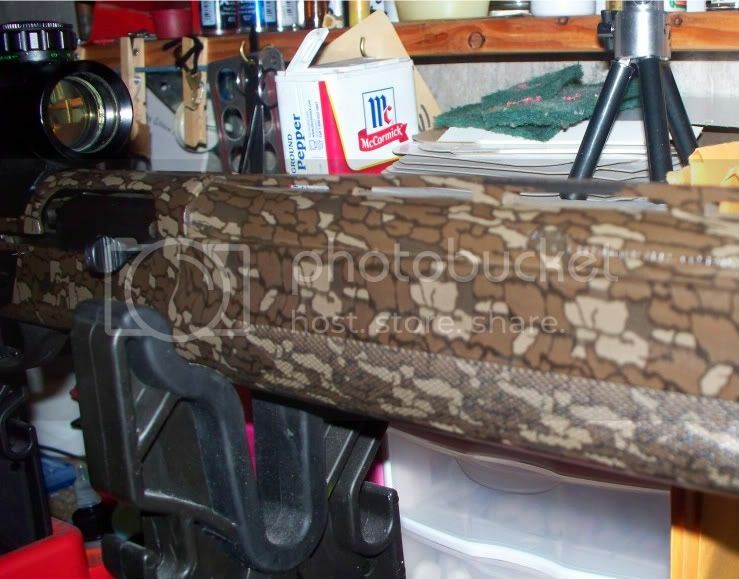 We shot a few rounds of Winchester lead to get it close and see how the action worked. This was a 20 yr old gun and I had never shot it before. After gaining the confidence of the gun we switched to the hevi loads. 1st we tried a Nitro and it put 348 in a 10" circle. I then switched to my 8 ball handload which is 2 ozs of #8's TSS. In a 10" circle it got 368. The only choke i had was the one that came in it kicks .660. The gun worked flawlessly, very smooth action and kicked the shells out extremely well. The limbsaver really cut down on the recoil. 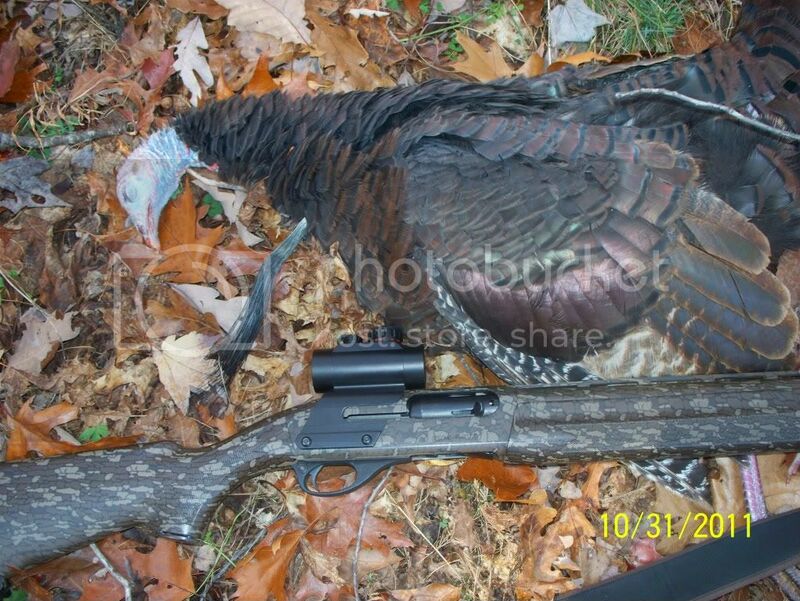 In all this gun will be in the woods for a long time in the future slaying turkeys. On my next go round at the range I will fine tune it with the TSS 8 ball at 40 yards. Last edited by GOLD HUNTER on June 3rd, 2012, 11:23 pm, edited 1 time in total. Yowsa!! That will probably get you a turkey. 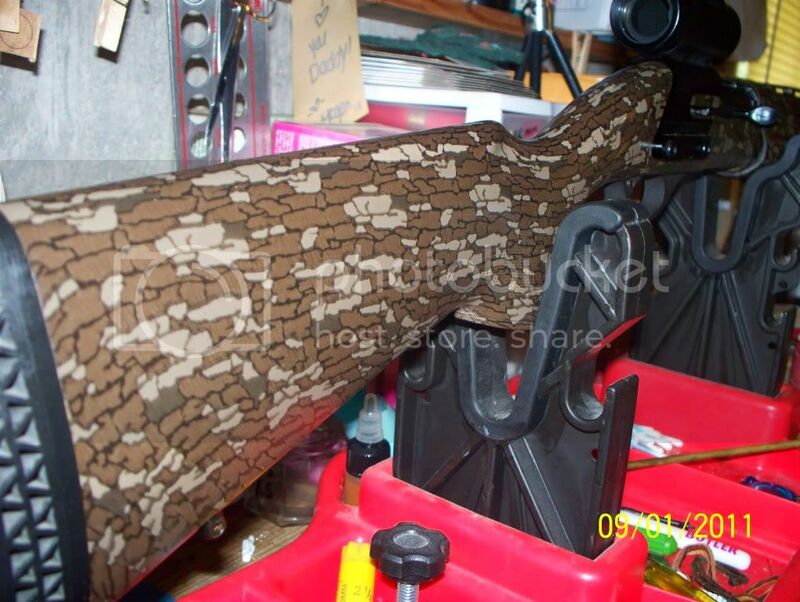 Very nice pattern. Looks like you hit the jackpot, Brian.. The 1187 is my winter project. 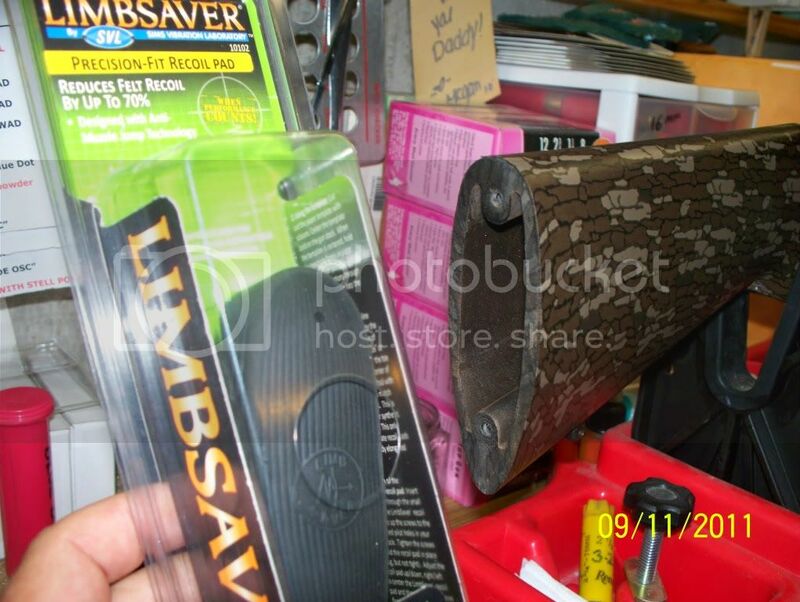 Now that i found a limbsaver AT GANDER MTN. for the 1187.
next I will have to get new Trigger Plate Pin Front & back from Remington.com. The gun didn't come with them. 2nd will be the removal of the scope. 3rd will have the gun drilled and tapped for a base plate and rings. I will then mount a scope on it. I'm going to try the choke that is in it but will probably be putting an Indian Creek in her. 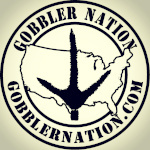 I have a few buddies that are going to let me try some chokes. I will be selling the red/green dot scope and then the kicks.660 choke if anyone is interested. I subsribed to your youtube videos. Your doing some fine work! Guys i got the new Trigger Plate Pin Front & back from Remington.com last week and after fall turkey season the removal of the red/green dot scope and then will have the gun drilled and tapped for a base plate and rings for a scope. Looks like a keeper to me! Good Job! 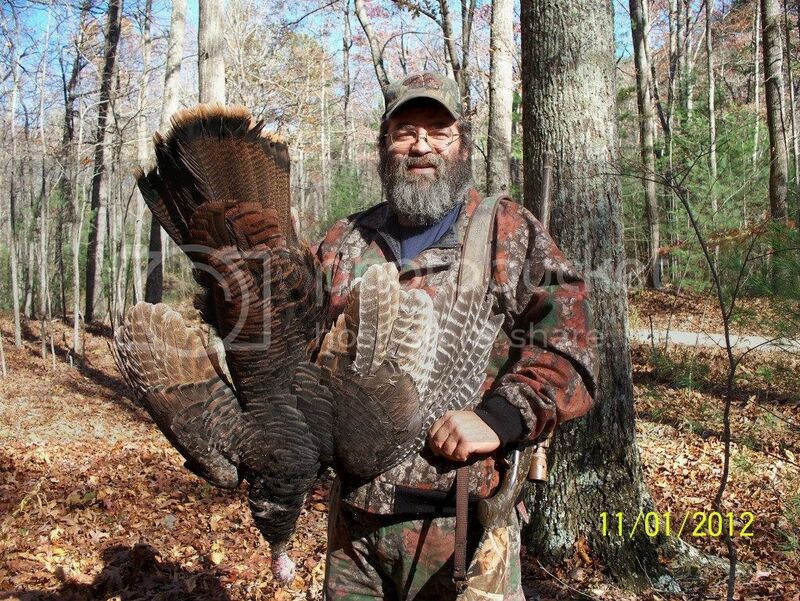 The new OLD Remington 1187 that I had bought earlier this year made it's first kill on Oct. 31 2011 and she likes the new life in the Va. woods. i may just keep the red/green dot scope on this gun it wooked great on getting on the birds heads. i have that sight and love it! Guys i sold the kicks .660 choke . 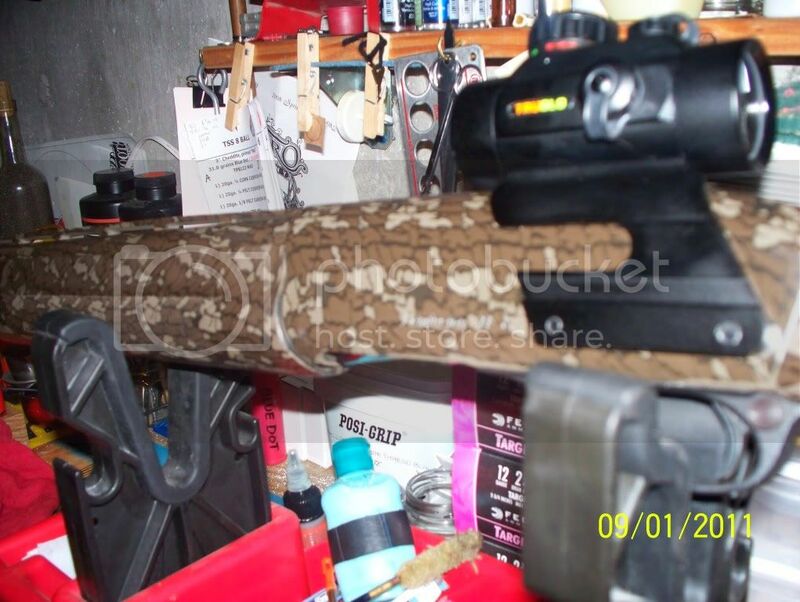 the old girl is gettn a facelift, took of the old red/green dot scope off and taken her to get drilled and tapped for a base plate and rings for a scope. i hope i get her back b4 our spring season !!! That gun is the shizzle..
Yeah, that baby is sweeeeet! You gonna run the IC or see how things pan out at the patterning board?